Electromagnetic pulses (EMP) can destroy semiconductors (i.e., computer chips, transistors, radios, cell phones, hard drives, etc.). EMP can arrive naturally from the Sun or by a nuclear weapon. If the EMP arrives from the sun, there may be a warning to quickly protect some electronic equipment. 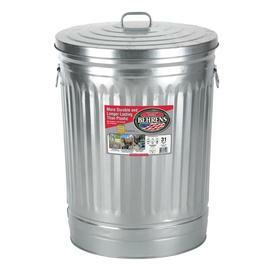 The simplest solution is a galvanized trash can , $25, with a tight fitting lid. Put electronic equipment inside the can. A metal trashcan, a pressure cooker or any metal cooking pot with a close fitting lid will offer some protection. Experiment. Put a cell phone in the metal container and place a call to it. If the metal container blocks the call, prevents the phone from ringing, you have a way to protect sensitive electronics.